Check your insurance coverage. All homeowners, but especially those who live on the coast, need a flood insurance policy. Unfortunately, standard homeowners insurance policies don’t cover flooding damage. You’ll likely need a separate policy either through the National Flood Insurance Program or a private insurer. Buy essential supplies. Don’t wait until a storm is knocking on your door (and all the store shelves are empty) to stock up on supplies. Keep a hurricane bag with bottled water, nonperishable food, blankets, clothes, flashlights, batteries and a first-aid kit. Make sure your home is in good condition. Hurricanes cause a lot of damage, and it’s even worse if your home is already in disrepair. Make sure your roof and windows are in good condition and, when a storm is in the forecast, that you don’t have loose objects lying around your yard. Also take stock of the trees in your yard and whether any need to be cut down in advance. Copy important documents. Store a copy of ownership papers, birth records, passports and other important documents in a safe place like a waterproof safe. Protect your electronics. Backup your data. This is an important piece of advice no matter what your situation. Also make sure that your phone and other chargeable devices are fully charged whenever a storm is in the forecast. Have an evacuation plan. It’s important that you and your family know where to go if it’s not safe to stay in your home. Memorize and practice your hurricane evacuation route. Similarly, have a family communication plan in place. Prepare your home. There are certain steps you won’t take unless a storm is imminent, like securing loose outdoor items and boarding windows. But you can install a generator or buy a portable generator to use during power outages. You might even consider building a storm shelter. Track the forecast. Tropical storms and hurricanes aren’t always easy to predict. They can take unexpected paths, as Floridians know all too well. Stay abreast of changes in weather forecasts whenever a new storm develops. 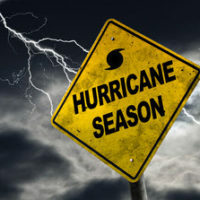 Contact a Jacksonville hurricane insurance attorney at The Pendas Law Firm today for a free consultation if your insurance company denies your hurricane damage-related claim. We will walk you through the terms of your policy and the claim appeals process. The Pendas Law Firm also represents clients in the West Palm Beach, Fort Lauderdale, Fort Myers, Orlando, Tampa, Miami, Daytona Beach and Bradenton areas.